Dr. Edward Baruch, M.D. is the Founder and Director of “Psychiatric and Addiction Services of Southern New Jersey” (PASSNJ). Dr. Baruch opened PASSNJ in 2003 with Nurse June Sweeney. They created an outpatient psychiatric and addiction treatment center that offers high quality care for patients at reasonable fees. Dr. Baruch is Board Certified in Psychiatry by the American Board of Psychiatry and Neurology. He is a Diplomate of the American Board of Addiction Medicine (ABAM, formally ASAM). He is a Diplomate of The American Board of Forensic Examiners and a Diplomate of the National Board of Medical Examiners. He completed medical school at the SUNY Health Science Center in New York City and psychiatric residency at New York Medical College. Dr. Baruch is an Assistant Professor of Psychiatry at UMDNJ and served on their education committee, research committee, IRB (Institutional Review Board). He was the course director for the Psychopharmacology and Advanced Psychopharmacology courses for the psychiatric residency program. He taught the complementary and alternative medicine course as well. Dr. Baruch worked as Medical Director of the following programs at the Kennedy Health Systems: 1) Inpatient Psychiatry, 2) Outpatient Psychiatry, 3) Inpatient Substance Abuse Treatment, 4) Outpatient Substance Abuse Treatment, 4) Psychiatric Consultation/Liason Psychiatry, 5) Outpatient Geriatric Psychiatry, 6) Outpatient Geriatric Psychiatry, 7) Outpatient Adolescent Psychiatry. He also served on the Kennedy Health Systems Pharmaceuticals and Therapeutics Committee. 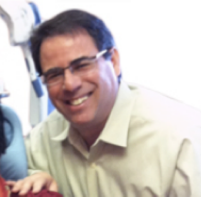 Dr. Baruch teaches has written in the area of psychiatry, addictions and complementary medicine.